The capital city of Volgograd oblast. Volgograd (in 1589-1925 - Tsaritsyn, in 1925-1961 - Stalingrad) is a city in Russia, the capital of the Volgograd region located in the southeast of the European part of Russia, on the banks of the Volga River. 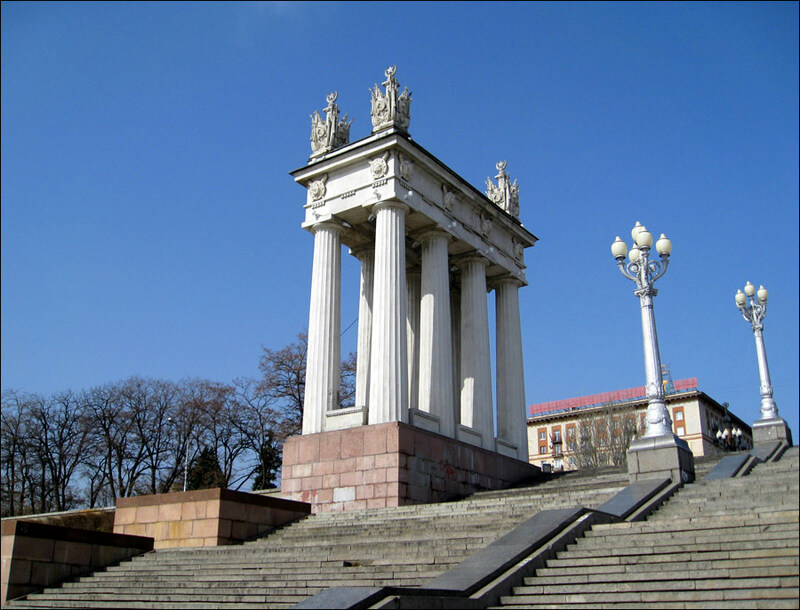 Volgograd has the status of “Hero City” because of the Battle of Stalingrad that took place here during the Second World War. 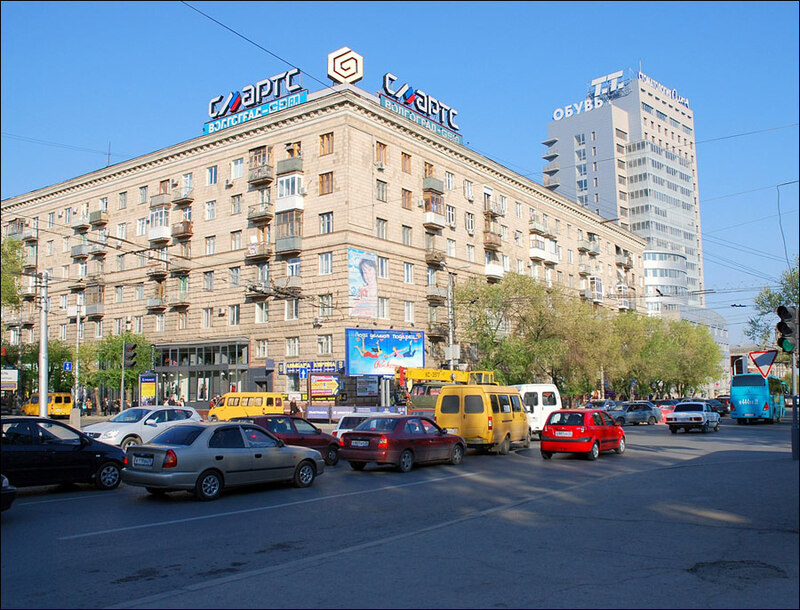 The population of Volgograd is about 1,016,000 (2015), the area - 859 sq. km. The phone codes - +7 844 2, +7 844 11, +7 844 96; the postal codes - 400000-400138. Local time in Volgograd city is April 19, 2:17 am (+4 UTC). 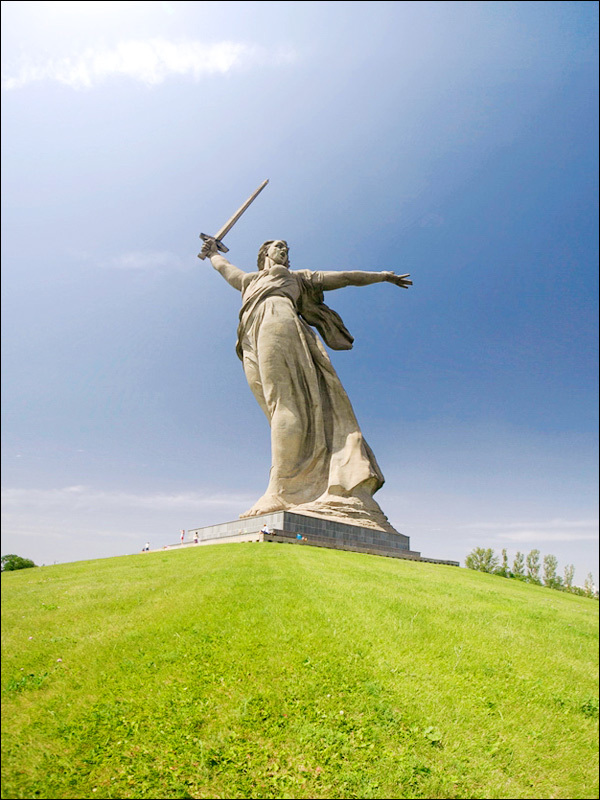 The first settlement on the territory of present Volgograd was founded presumably in 1555. In 1589, it was first mentioned in the historical materials as a small fort called Tsaritsyn, standing on an island at the confluence of the Tsaritsa and the Volga rivers. 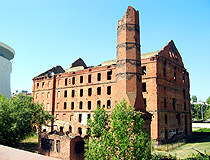 The fort was named after the Tsaritsa River. At the beginning of the 17th century, Tsaritsyn burned down and was newly rebuilt on the right bank of the Volga in 1615. The fortress was an important part of the Russian southern defense line. The reforms of Peter I greatly increased the country’s power (organization of the army, industry and government). In the 1750s, the Russian expansion to the Crimea, the Caucasus and Central Asia started. Tsaritsyn was located far from these regions and therefore began to turn in a small peaceful provincial town. 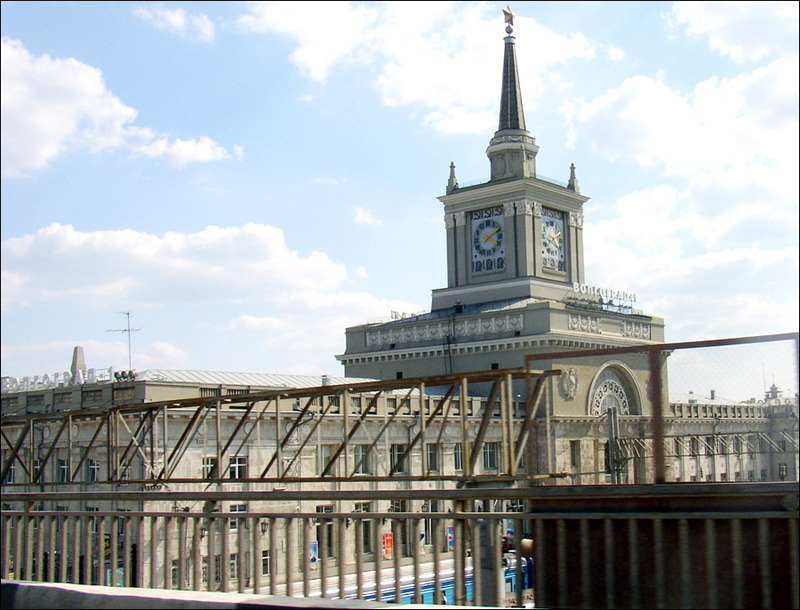 In the 19th century, it became a large river port and trade center. After the abolition of serfdom in 1861, the rapid growth of the town’s industry began, aided by convenient transport routes - the Volga River and developed railway network. In 1880, an oil refinery of “Nobel” company came into operation, Russia’s largest oil storage facilities were built here. 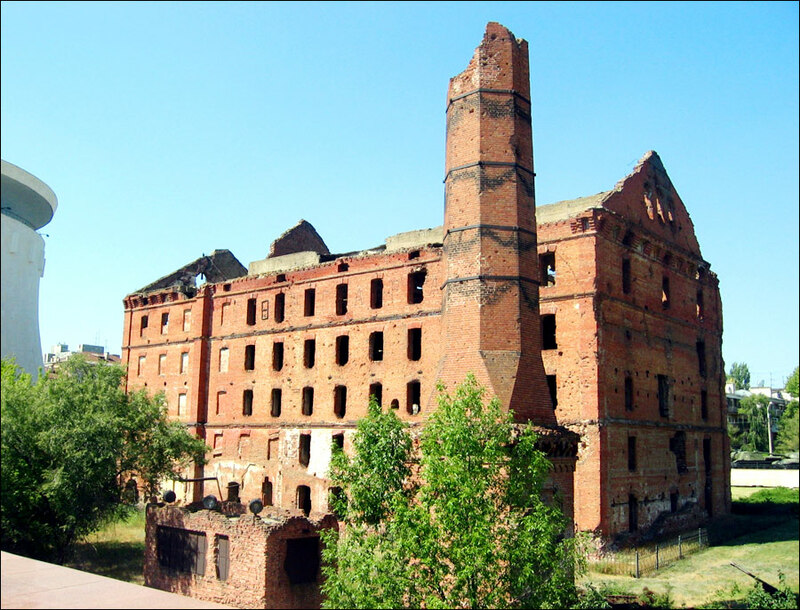 At the beginning of the 20th century, there were more than 230 factories in Tsaritsyn. In 1913, the population of the town was about 130,000. 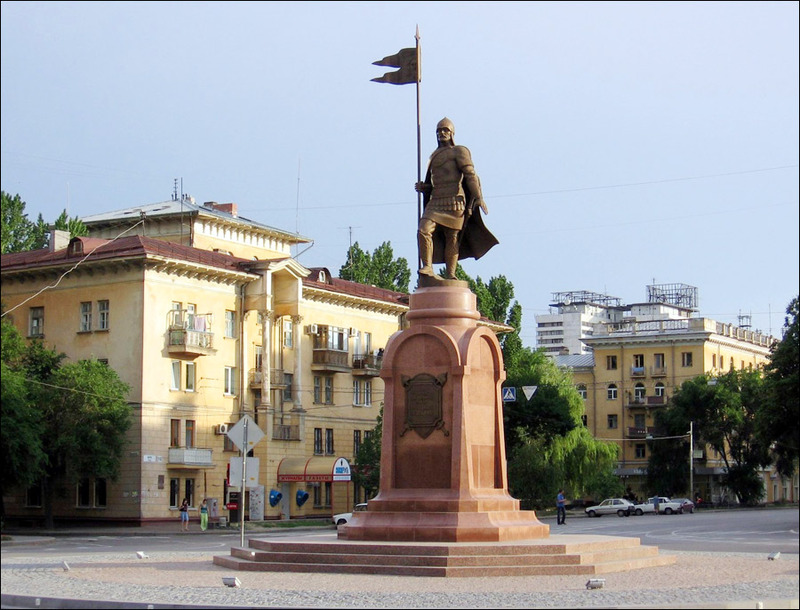 In 1918-1920, during the Civil War in Russia, Tsaritsyn became a place of fierce fighting. 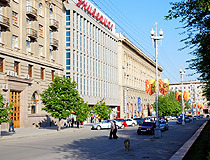 In 1925, the city was renamed in honor of Stalin. Stalingrad became one of the centers of the Soviet heavy industry. During the the Second World War, the Battle of Stalingrad took place here. It was one of the turning points of the war, one of the biggest battles in history. Stalingrad was completely destroyed during the battle that lasted almost seven months. The city’s population was only about 32,000 inhabitants, the population before the war - about 450,000. 41,685 houses were destroyed (90.5%). 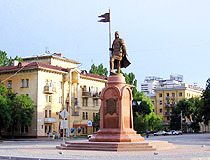 In 1945, it received the status of “Hero City”. 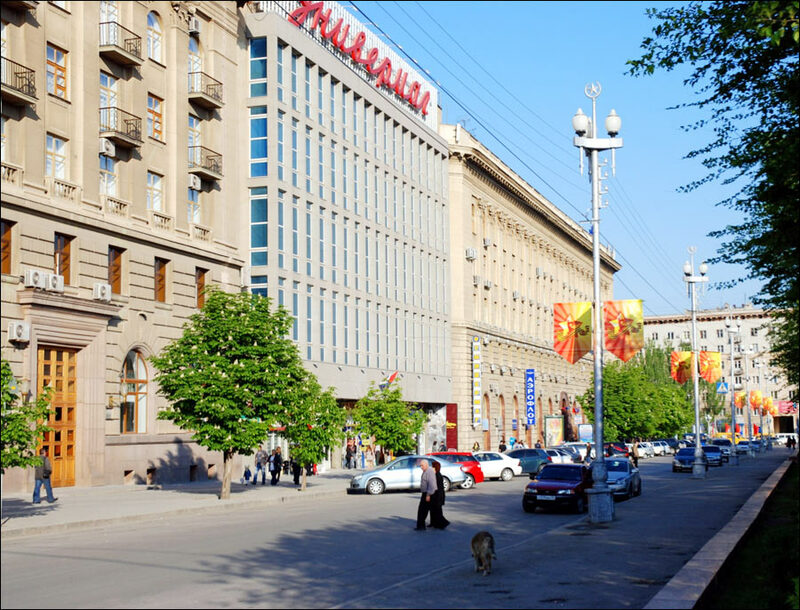 In the 1950s, a large-scale construction of monumental buildings in the style of Stalin’s empire began. These buildings still determine the appearance of the city today. 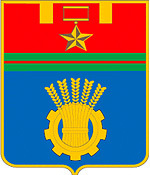 In 1961, Stalingrad was renamed again as part of Nikita Khrushchev’s de-Stalinization program. The city received the name Volgograd meaning “city on the Volga River”. 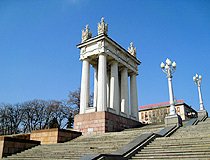 In 1967, the memorial complex of Mamaev Kurgan was built in memory of the Battle of Stalingrad. 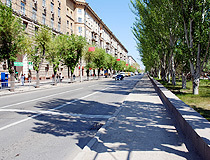 In 1989, the city’s population exceeded 1 million. 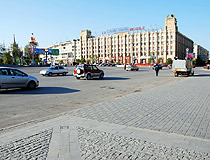 In 1991, after the collapse of the Soviet Union, Volgograd experienced a catastrophic decline in industry and municipal economy. Since the mid-2000s, the growth of the local industry began, construction intensified. 4 matches of FIFA World Cup 2018 were played in Volgograd. Volgograd is one of the fastest growing tourist centers in the south of Russia with a long tradition of historical tourism. 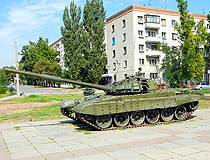 The monument-ensemble of Mamayev Hill, the museum-panorama “The Battle of Stalingrad” are the world famous symbols of the Second World War, which to this day attract tourists in Volgograd. 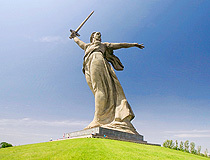 The silhouette of the sculpture “Motherland” is one of the main symbols of Volgograd. City Day is celebrated on the first Sunday of September. The climate is temperate continental. Winters are mild, with frequent thaws, summers are hot and long. The average temperature in January - minus 6.3 degrees Celsius, in July - plus 23.6 degrees Celsius. 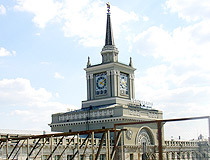 It is a large transport hub connecting the city with the Caucasus, Moscow, Siberian regions, the Donbas region of Ukraine. 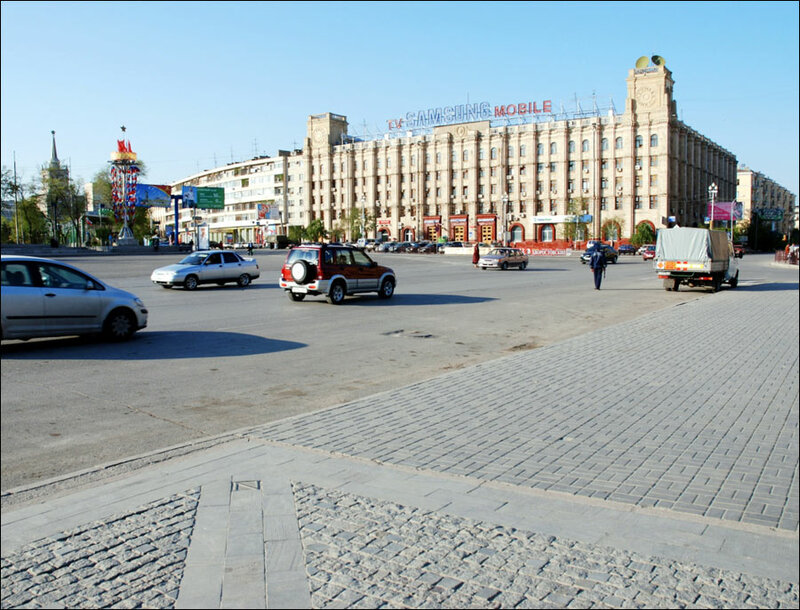 The longest road in Europe (E40) (from Calais in France to Ridder in Kazakhstan) passes through Volgograd. The highway R22 (Moscow-Astrakhan) passes through the city, the highways R228 (to Saratov), R221 (to Elista), M221 (to Donetsk, Ukraine), R226 (to Samara) start here. Volgograd International Airport (Gumrak), located about 15 km from the city center, offers regular flights to Moscow, Ekaterinburg, Saratov, Sochi, Surgut. 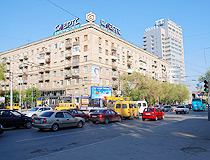 Volgograd, due to its favorable transportation and geographical position and high industrial potential, plays an important role in the socio-economic development of the South of Russia. It is an important industrial center: aluminum, steel and chemical production, oil refining, shipbuilding, machinery and vehicles manufacturing. Volgograd hydroelectric power station is located in the north of the city. The city stretches for 90 km along the right bank of the Volga River. You can get to the left bank of the Volga via the dam of the hydroelec power station (to Volzhsky city) or Volgograd bridge (to Krasnoslobodsk). The Volga-Don Canal begins in the southern part of the city connecting Volgograd with the Caspian, Black, Baltic and White Seas, Moscow and St. Petersburg. 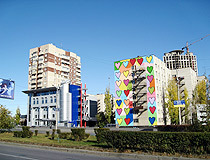 Volgograd Regional Children’s Art Gallery (Sovetskaya Street, 26). 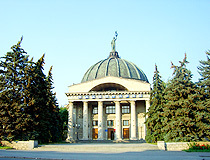 Volgograd Planetarium (Gagarina Street, 14). 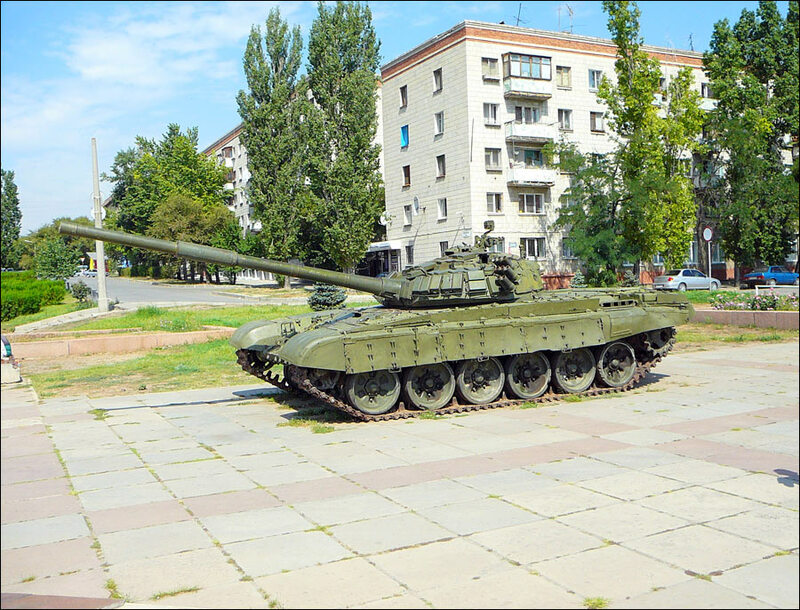 gary asks: Is Volgograd a safe city? According to a large-scale survey of residents of Russian cities, Volgograd is one of the most dangerous cities in the country, if it is about safety while walking on the streets in the evening and at night. In general, according to the statistics, Volgograd is not in the list of top 10 most criminal cities in Russia. 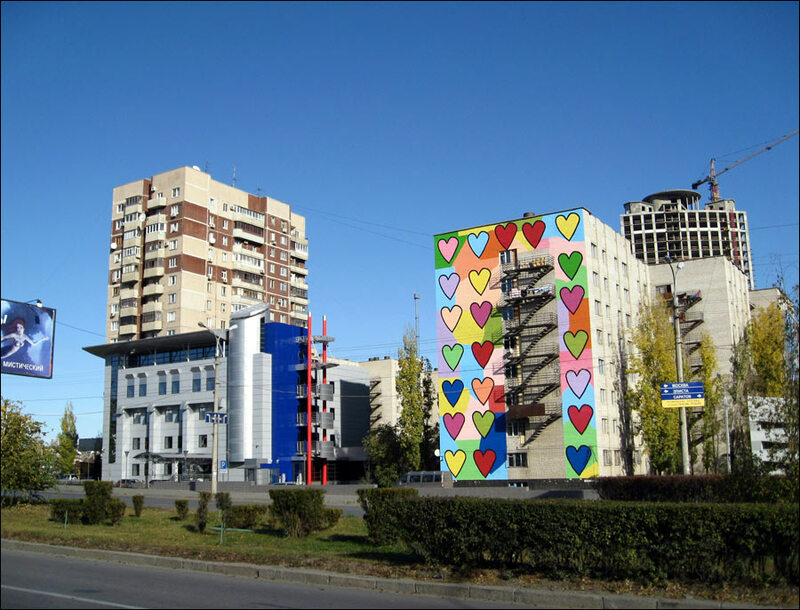 In recent years, the crime rate in Volgograd has been growing all the time due to the poor economic situation. 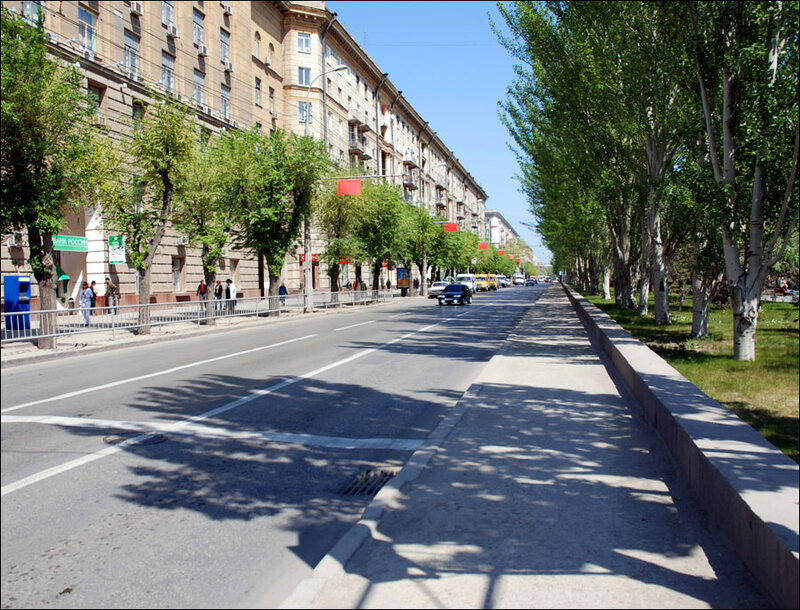 Robert asks: How safe is it to visit Volgograd as I was told some place in Russia are unsafe. It is safe enough to visit the city. The crime rate in Volgograd is below Russian average. In any case our advice is not to walk alone in the evening/night time especially if you are not in the central part of the city, don't carry a lot of cash (better use Visa/Mastercard), try to avoid conflicts with locals especially in night clubs/bars, etc. The city is beautiful and so clean. The buildings are very unique. 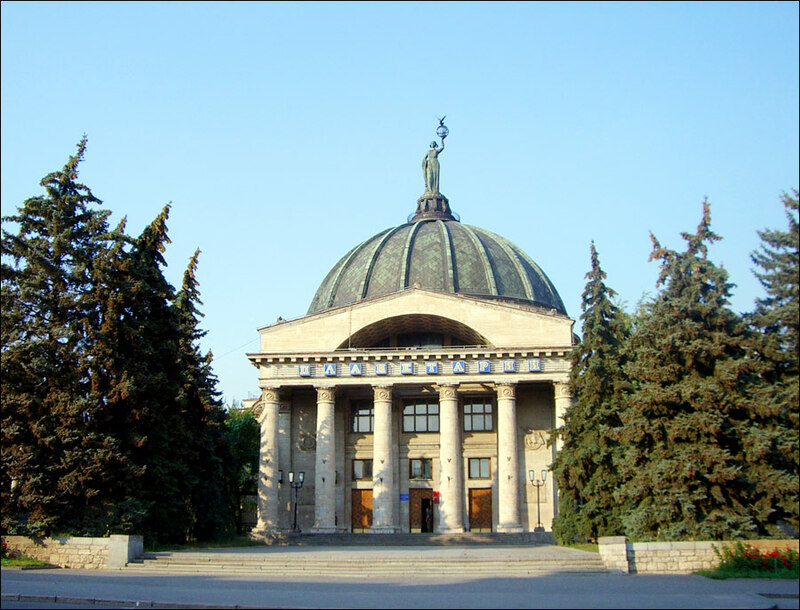 My son is studying in Volgograd. I wanted to see what it was like. I am so glad I did. Very impressive.